At last, the Rocco! 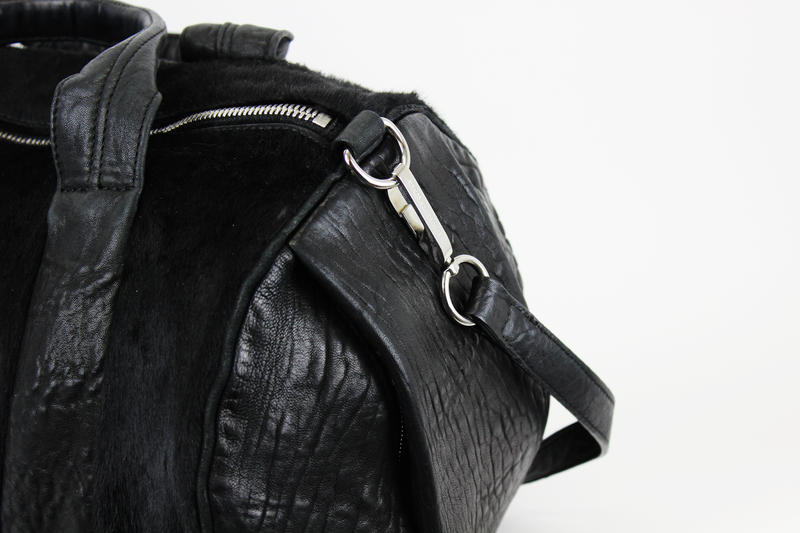 I've been drooling over the Alexander Wang Rocco bag for years and finally caved a couple weeks ago. A friend of mine co-owns Elk & Dawn (see this post) and I was beyond thrilled when she told me they had found me this bag. I originally had my sights set on the all over black pebbled leather with rose gold hardware (available here) but the version that ended up in my possession is far harder to come by, which makes it feel a bit more special and personal, considering how popular the Rocco is in itself. 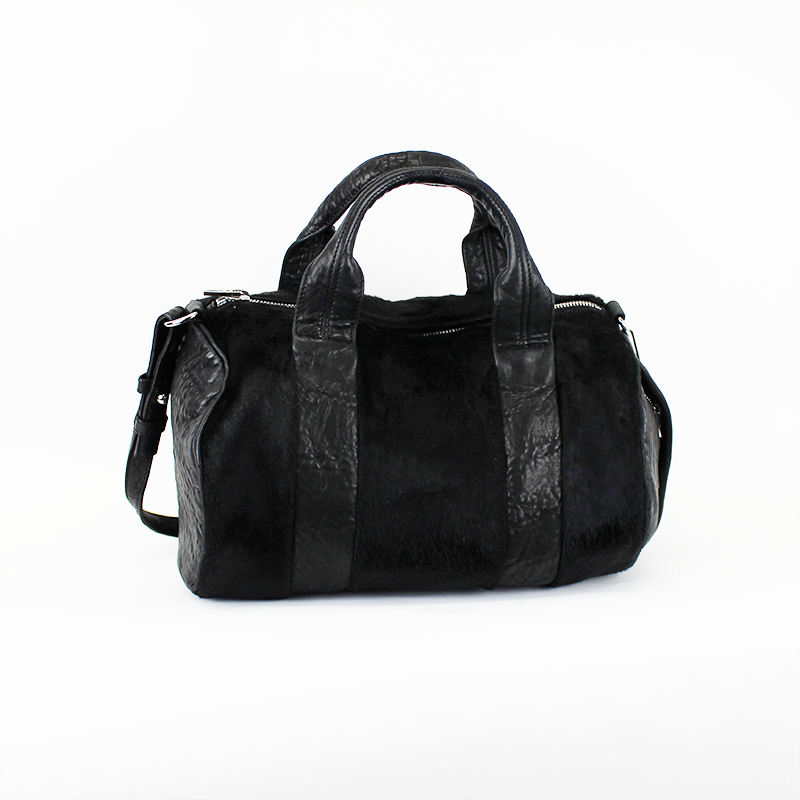 The version that I purchased is the mixed material, black calf hair, black pebbled leather combo with silver hardware. Since the hardware is real silver, the concern of it eventually tarnishing is eliminated. 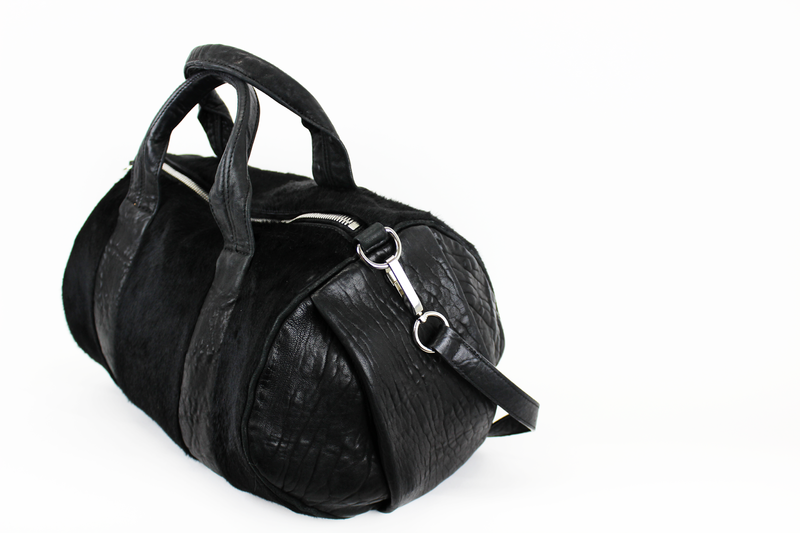 Pony hair/calf hair in a handbag, to some people's surprise, is quite easy care for and maintain. If anything gets on the calf hair portion of the bag, it's quite easy to brush right out. I mean as long as you're careful not to spill ketchup on it, you should be golden. As anyone who owns this bag will tell you, the studs that cover the bottom do make a difference in it's weight. This is definitely not a handbag for those with an affinity for the lightweight, but for someone like me who is used to carrying a heavy handbag around on the regular, it's perfect. The size is perfect for my lifestyle and transitioning from day to night. More photos and a peek at what's in my bag after the jump! 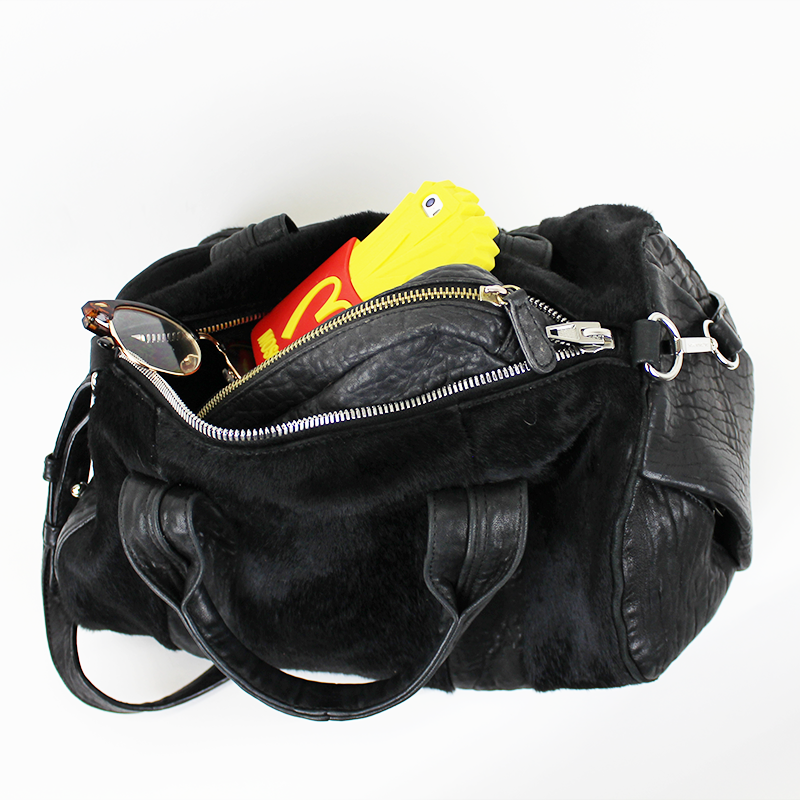 Here's a little peek at the daily essentials that I like to keep in my handbag! I must say I made an amazing decision in purchasing this bag. Now I just need it in metallic purple.